MAKERERE – Students at Makerere University have been tipped to engage themselves in innovative ways of job creation if the country is to curb the escalating problem.This was during the 9th edition of Pakasa Forum held at the university to give young entrepreneurs skills on how to start businesses and survive in a competitive business environment. Organized under the theme “Unlocking Students’ Potential, the 9th PAKASA Forum was hosted by the College of Business and Management Sciences (CoBAMS), Makerere and Vision Group Ltd.
Ms. Barbara Mulwana, the Chief Executive Officer at Nice House of Plastics and Chairperson of Uganda Manufacturer Association (UMA), speaking to thousands of students in the CoBAMS Auditorium, said that young people should believe in starting small, with the available financial means and lay strategies for purposes of growth in business. “Innovation is very key in running a successful enterprise,” she said urging students to always think outside the box and be innovative and to create own job creators. “Have values for your business, remember that success takes time and there is no shortcut. Part of what makes entrepreneurs fail both in the short and long run is thinking that they always have to venture into something that has been explored by several other entrepreneurs who have actually secured the biggest share of the market,” she stated. The Deputy Chief Coordinator of Operation Wealth Creation Lt. Gen. Charles Angina encouraged students to explore the virgin sector of Agricultural Tourism and tap into the opportunities of branding and packaging agricultural products. He also noted that students need to be organized into dynamic, loyal, visionary groups ready to give accountability in order to secure government funds for their projects. Stop despising Agri-businesses because agriculture is one of the key drivers of Uganda’s economy and a lucrative venture,” he added. 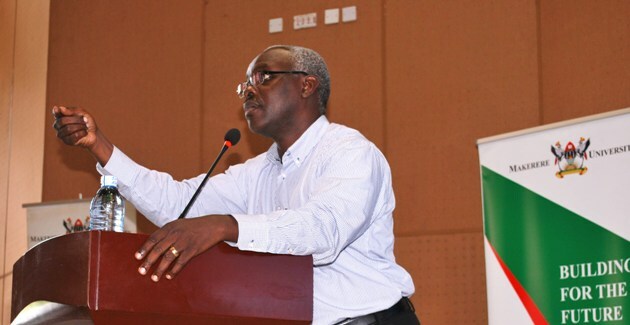 The Chief Executive Officer, Vision Group Mr. Robert Kabushenga, urged students to embrace the business world and prepare themselves of the future where more technology than human labour will be required to do work. He appealed to students to be open-minded, think creatively, have empathy and be innovative. The Principal CoBAMS, Makerere, Dr. Eria Hisali appreciated the idea of engaging students in business and entrepreneurship talks, saying that said that such initiatives link students to successful entrepreneurs who can uplift their potential. 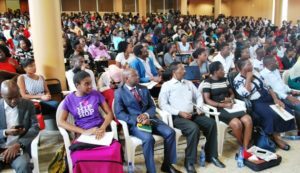 He also applauded Vision Group and other partners for the support they offered to organize the Pakasa Forum and called for continued support to all Makerere activities.